NCRTC Notification is out. NCRTC is recruiting for 04 Part Time Doctors Post Posts. You can check NCRTC - National Capital Region Transport Corporation last date, download NCRTC notification, visit NCRTC official website and check other NCRTC Vacancy details.Complete Vacancy and recruitment Details about 04 Part Time Doctors Post vacancies in NCRTC are provided below by JobSarkari.Com only for you. Last Date of Receipt Application. 18/07/2018. Allopathic System. Candidate Must Have Passed MBBS And Preference Will be Given to MD Candidate and Having 20 Years Experience in a Hospital or Nursing Home. 02. Homeopath System. Candidate Must Have Passed MD in Homeopathy With 20 Years Experience And after Passing MD or BHMS Having 25 Years Experience As Mentioned in Notification. 02. 2. Candidate Have to Download Application Form As Given on Our Website in Important Links Section. 4. Candidate Need to Send All Mandatory Documents Like Cast Certificate, Education Certificate And Photos With Application Form. 5. Candidate Need to Send the Application Form on Given Address Before 18th July 2018. 6. Career Cell, HR Department, National Capital Region Transport Corporation, Siri Fort Institutional Area, August Kranti Marg, New Delhi-110049. Q. 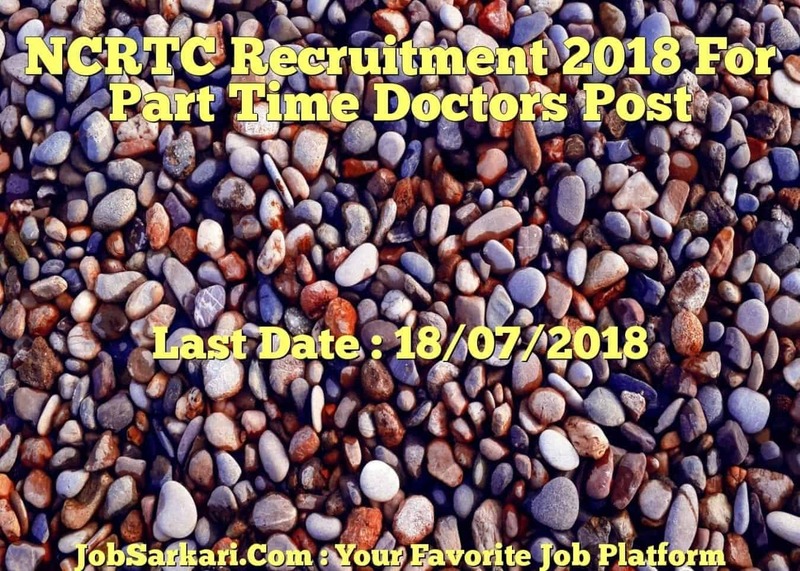 What is the Last Date For NCRTC Part Time Doctors Post Vacancy ? A. 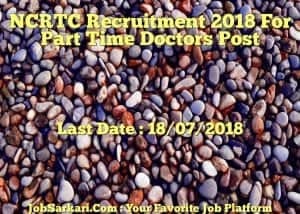 Last Date for NCRTC Part Time Doctors Post Posts is 18/07/2018. Q. What is the Form Type of NCRTC Part Time Doctors Post Recruitment ? A. The Form Type for NCRTC Part Time Doctors Post Posts is Offline. Q. How many vacancies are available in National Capital Region Transport Corporation Part Time Doctors Post Posts ? A. There are about 0 Vacancies in National Capital Region Transport Corporation Part Time Doctors Post Posts.